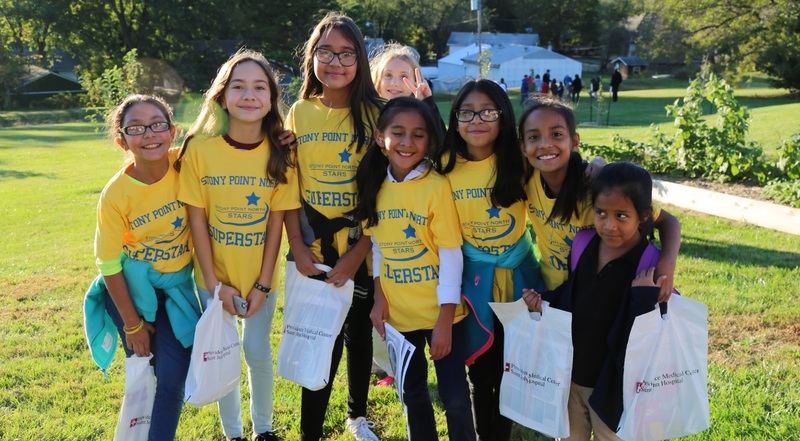 STONY POINT NORTH PE - "PROMOTING ACTIVE HEALTHY LIFESTYLES"
Throughout the past several years the SPN PE program has created many special projects that have gone beyond the required PE curriculum. The "KC Healthy Kids" organization has partnered with our school in many of these projects and has been a tremendous resource for us in assisting to create our special activities. 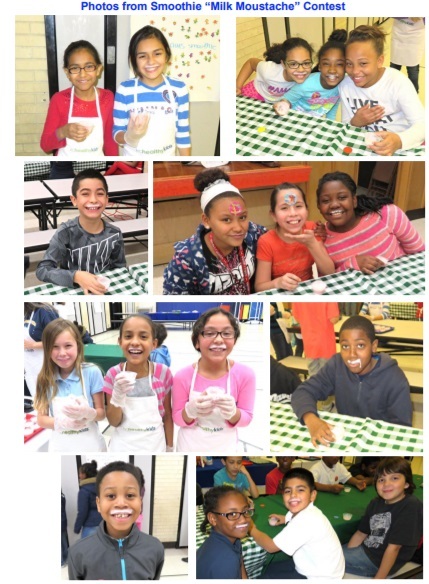 Many of our "Taste Tests" activities have been created with the emphasis on the help provioded by KC Healthy Kids. 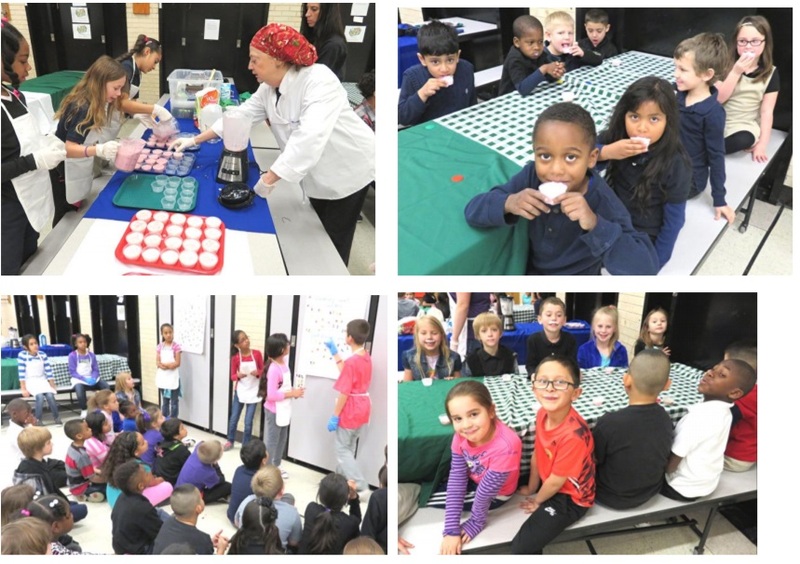 Our students really enjoyed not only the actual "Taste Tests" odf a variety of healthy foods, tasty smoothies, and how to create healthy snacks, but the students also enjoyed how the "Taste Test" activities were set up with the educational information provided by the KC Healthy Kids organization. On March 2, 2017, a group of Stony Point North 5th graders represented ALL of the students at Stony Point North including our Life Skills classes, and competed in the "KC Healthy Kids “I Am Here” contest. This was a contest that was open to all school districts in the Kansas City metro area and it also included our 5th graders competing against middle school students. The winning team would receive a Grand prize of $2,500 for their school. The 5th grade students had already received First Place recognition in the contest and were now competing in the Finals Competetion that was held at the Kansas City Convention Center in downtown Kansas City, Missouri. In the finals presentation our 5th grade students were required to speak in front of over 400 students and adults that were in attendance and were also competing against 3 middle school grades in the contest to receive the Grand Prize. The focus of the 5th grade presentation in their Finals presentation was how our students can help make our school more healthy by improving our playground so that we can increase our physical activity and assist in fighting childhood obesity. The Stony Point North students did an outstanding job in their oral presentation and were selected once again as the Grand Prize winners! This was the second consecutive year that Stony Point North was selected as the Grand Prize winners for this contest! The total winnings in the past two years from this contest was a total of $6,000!!! Article from KC Healthy Kids Organization. Click here. View the 2017 5th graders presentation by clicking on the picture above. 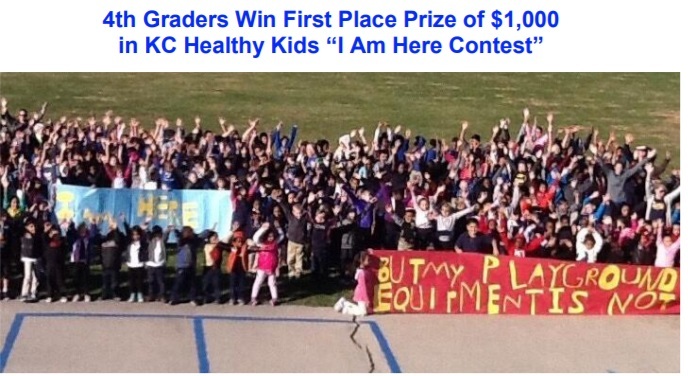 On March 2, 2016, Stony Point North 4th graders represented all students at Stony Point North and competed in the "KC Healthy Kids I Am Here” contest. 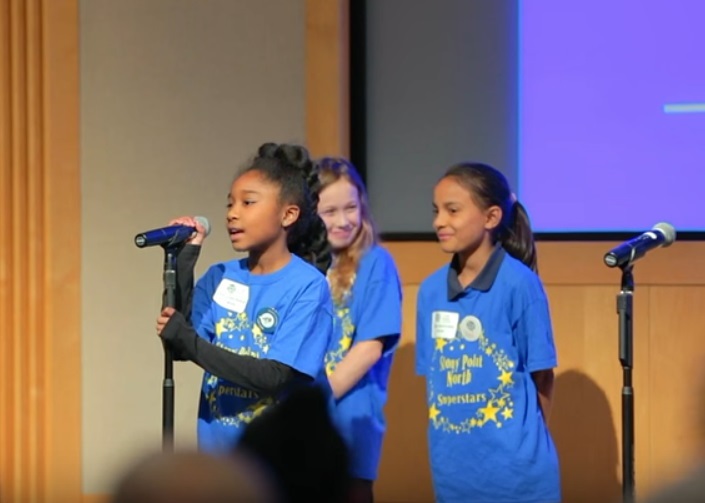 This was a contest that was open to all school districts in the Kansas City metro area and it also included our 4th graders competing against middle school students. The winning team would receive a Grand prize of $2,500 for their school. The 4th grade students had already received First Place recognition in the contest and were now competing in the Finals Competetion that was held at the Kaufmann Center located in Kansas City, Missouri. In the finals presentation our 4th grade students were required to speak in front of over 200 adults that were in attendance and they were also competing against 3 middle school grades in the contest to receive the Grand Prize. The 4th graders were required to give a "Shark Tank" type presentation and their presentation focused on how we can help make our school more healthy by improving our playground so that we can increase our physical activity and assist in fighting childhood obesity. The Stony Point North 4th grade students did an outstanding job in their oral presentation and were selected as the Grand Prize winners! The Grand Prize winnings for this contest! was for $2,500 but our 4th graders were so impressive that they also received two $500 donations immedialy following their presentation from the community and business leaders that were in attending the Finals for this contest. Therefore, their total winnings from this contest was $3,500!!! View the 2016 4th graders presentation by clicking on the picture above. On October 16th, 2016, Stony Point North Elementary School hosted a special evening “Fitness and Wellness activity” for our students, parents, and community members. The primary goals of this unique event were to increase our awareness of the need to “fight child obesity”, to increase our knowledge about the importance of daily physical activity and healthy eating for students and adults, and to raise money for the SPN playground. For this activity we had 10 Kansas City health oriented organizations partnering with Stony Point North for the evening activities. with Stony Point North for this activity. KC Healthy Kids was the primary organization partnering with SPN. They provided a delicious "Taste Test" activity, handed out information on healthy eating, and was one of our sponsors on our "Superstar Challenge" t-shirts. CLICK HERE to read more about the Superstar Challenge and Health Fair". Click on the picture above to view a video of the "Superstar Challenge and Health Fair".